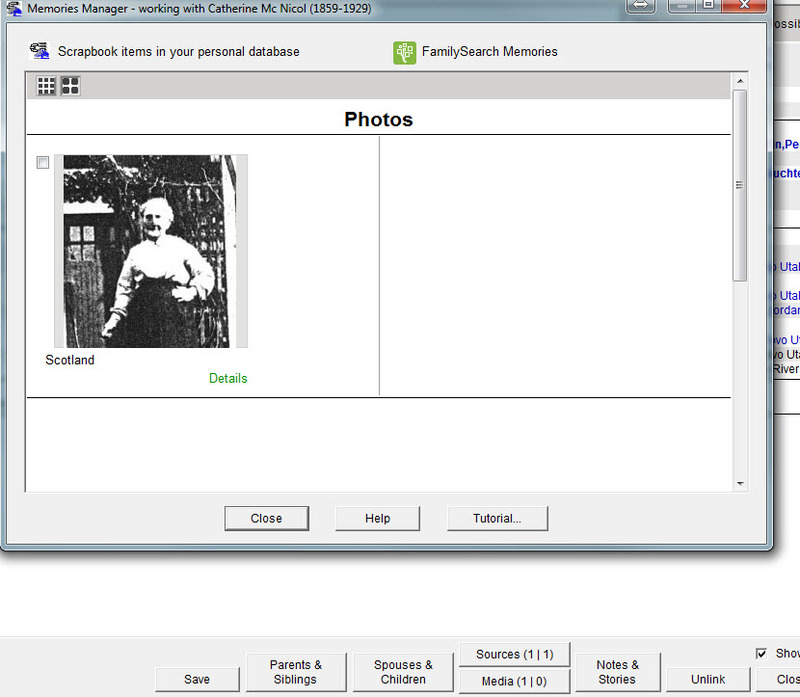 Ancestral Quest's new Memory Manager allows you to upload to Family Search and download from Family Search all the stories and photos that are connected to your ancestor. Often there are photos, stories and documents that are uploaded by another relative, in addition to your own, this access makes it a lot easier to have those media items too. 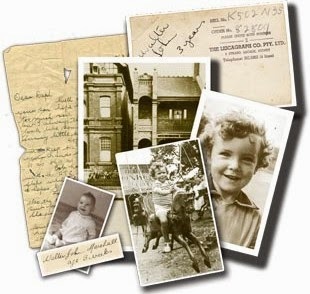 You can view these stories, photos and documents side by side when linking through Ancestral Quest. At that point you can upload or download any of those memories either way with the click of a button. Once in your own program they can easily be linked to the individuals they are connected too. 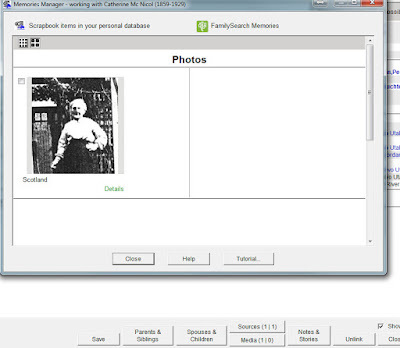 To bring your screens in line with FamilySearch, click on the blue tree at the end of your ancestors name. If there is a picture there it will show up on the Media button at the bottom, just like for sources and notes and stories. Clicking in the box in the upper left hand corner next to the picture brings up this screen to aid you in moving this picture from your file to FamilySearch Family Tree. When you click the OK to move the picture, it does just that. 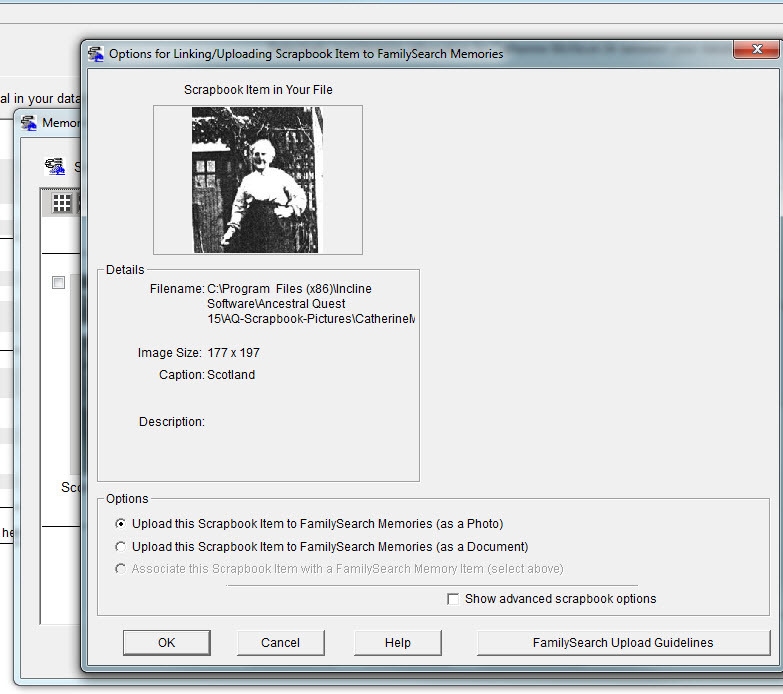 Because of the screening process for all pictures, it will take a bit of time till you see it on FamilySearch Family Tree. There were some additional choices which may be advantageous as you work with pictures and documents which are described more fully in this tutorial that was put together to assist all in taking advantage of this great new feature in Ancestral Quest 15. Click here for Memories Manager Video!